Manfred Weber and Alexander Stubb are vying to become the leader of the European People’s Party. I write about “Europe’s Primary Season” for the Atlantic Council’s New Atlanticist blog. 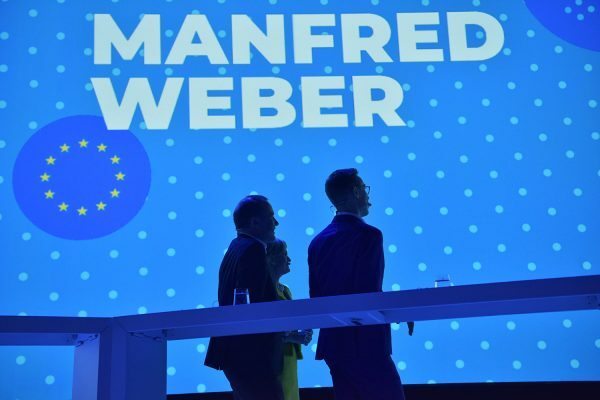 Manfred Weber and Alexander Stubb are vying to become the leading candidate of the conservative European People’s Party (EPP) in next year’s European Parliament elections. The winner would be in a strong position to claim the presidency of the European Commission. Weber, who has been endorsed by his country’s chancellor, Angela Merkel, is the favorite, but Stubb has mounted a spirited campaign. There are substantive differences between the two. Weber is socially conservative while Stubb is proudly cosmopolitan. Weber is seen as a bridge-builder, but he is also a defender of the status quo. He is not big on agricultural reform (farm subsidies are the EU’s biggest expense) and he has consistently defended Hungary’s Viktor Orbán, whose party, Fidesz, is still in the EPP, despite its embrace of the sort of populism that makes Stubb uncomfortable. On the left, the competition was over before it could even begin. Maroš Šefčovič of Slovakia dropped out as soon as his fellow commissioner Frans Timmermans of the Netherlands announced a candidacy. The liberals, who are hoping to become kingmakers in the next parliament, have not nominated a so-called Spitzenkandidat. But if they are needed for a majority, they could put forward one of their own, like the popular competition commissioner, and scourge of American big tech, Margrethe Vestager.